The driver is prompt and polite. He's really helpful in showing us around. We visited Merlion Park, China Town, Choco Factory and Little India. No need to worry about navigating the roads in Johor Bahru. Enjoy the exclusivity of your own air-conditioned vehicle as your driver picks you up from your preferred Singapore location. Best part about this is you do not need to get off your vehicle when crossing the customs immigration! Once you're in Johor Bahru, choose from an array of cafes, restaurants and local eateries for the day, pausing in between for shopping and massage. Convenient service especially for families with young children or elderly. Shop to your heart's content at the Johor Premium Outlets! Buy some bread and pastries back for your friends and family! AEON Bukit Indah - Don't forget to check out JB's only Beanieplex where users watch movies on super comfy beanbags! 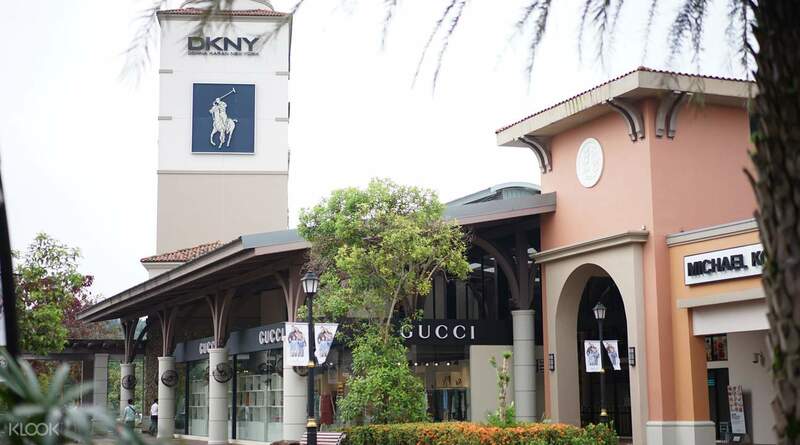 Johor Bahru Premium Outlets - Enjoy discounts up to 80% on more than 60 premium brands such as Pedro and Gucci! KSL City Mall - With over 500 retail outlets and 8 cinema halls, you’ll never go bored at JB’s integrated shopping mall! Restoran Bai Her/Restoran Pai Her - Try their signature Nyonya Curry Fish Head - light, flavourful and only slightly spicy! Roti Canai Bukit Chagar - The only roti canai place that closes at 11am because they always sell out by then - it’s that good! KK Lut Lut’s Lok Lok - The locals call this favourite supper haunt the “doomz doomz van” - you’ll have to visit for yourself to find out why! Have a nostalgic Root Beer Float at A&W - Nothing beats a good throwback and what better way to do it than in the form of an ice-cold root beer float in a frosted mug? It’s fun for the whole family at Hello Kitty Town & Legoland where kids will never run out of fun things to do! Have a movie marathon - Cinemas in JB have movie screenings at very affordable prices, perfect for binge watching all new Hollywood blockbusters! 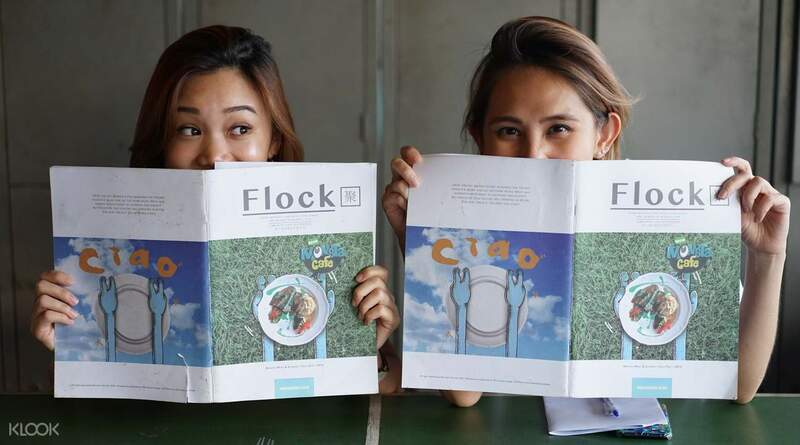 Team Klook visited Johor Bahru and tried and tested some of the above locations! For more details and exact addresses, check out the blog article! This is our second availment from klook for our singapore vacation. You need to read the voucher very carefully from how to use, additional information and others. The tour is nice more focus on the commercial side which is promoting the business of Batam in Golden City like the layered cakes, outlet factory, luak coffee, latex products and others. I would like to suggest that since the shops are near the tourist destination the group can be divided into two those who would like to shop and those who would like to see the other side which is history like the boat, the replicas of batam houses and others. Our tour guide is really nice lady when one of our co tourist in the bus did not go down from the bus to look into the trick eye museum she really asked the Indian family to visit the museum while us waiting for them. It is a nice feeling when someone from the group is giving concern to other people. By the way beside layered cake is a robot made from scrap metal/steel materiala nice for picture taking. Thanks! I recommend klook on this activity. This is our second availment from klook for our singapore vacation. You need to read the voucher very carefully from how to use, additional information and others. 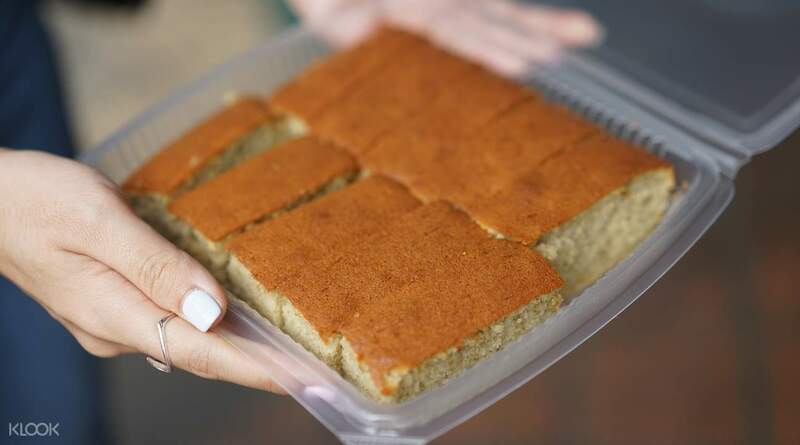 The tour is nice more focus on the commercial side which is promoting the business of Batam in Golden City like the layered cakes, outlet factory, luak coffee, latex products and others. I would like to suggest that since the shops are near the tourist destination the group can be divided into two those who would like to shop and those who would like to see the other side which is history like the boat, the replicas of batam houses and others. Our tour guide is really nice lady when one of our co tourist in the bus did not go down from the bus to look into the trick eye museum she really asked the Indian family to visit the museum while us waiting for them. It is a nice feeling when someone from the group is giving concern to other people. By the way beside layered cake is a robot made from scrap metal/steel materiala nice for picture taking. Thanks! I recommend klook on this activity. Total 7 of us went for a JB trip last Saturday. Our driver Ivan was punctual, friendly and very helpful. He recommended us a good place to have seafood during lunchtime. We managed to shop and enjoyed our massage very much! Great thanks to Ivan for his initiative to help us made a last minute reservation to enable us to have bak kut teh for dinnner! Thumbs up for his great service. Total 7 of us went for a JB trip last Saturday. Our driver Ivan was punctual, friendly and very helpful. He recommended us a good place to have seafood during lunchtime. We managed to shop and enjoyed our massage very much! Great thanks to Ivan for his initiative to help us made a last minute reservation to enable us to have bak kut teh for dinnner! Thumbs up for his great service. the driver named Mr. Yee picked up early. a very enjoyable trip with a car that is a relief, clean and comfortable. there was an obstacle at the immigration of Singapore when re-entering the country but the driver patiently helped and accompanied. for my immigration affairs all done in the car so no need to get out and queue up. In Johor Bahru we went to San Rio and JPO, as Mr. Yee's recommendation we had dinner at a fabulous seaside seafood restaurant. Mr. Yee is the same driver in the video in this description. the driver named Mr. Yee picked up early. a very enjoyable trip with a car that is a relief, clean and comfortable. there was an obstacle at the immigration of Singapore when re-entering the country but the driver patiently helped and accompanied. for my immigration affairs all done in the car so no need to get out and queue up. In Johor Bahru we went to San Rio and JPO, as Mr. Yee's recommendation we had dinner at a fabulous seaside seafood restaurant. Mr. Yee is the same driver in the video in this description. Driver is good to suggest places that local Malaysia will go for a real experience of Johore Bahru. He is also the guide of our trip and we are happy with him. He is punctual and things go smoothly for this 12 hours day trip. Bak Kut Teh is so yummy and good price! Driver is good to suggest places that local Malaysia will go for a real experience of Johore Bahru. He is also the guide of our trip and we are happy with him. He is punctual and things go smoothly for this 12 hours day trip. Bak Kut Teh is so yummy and good price! 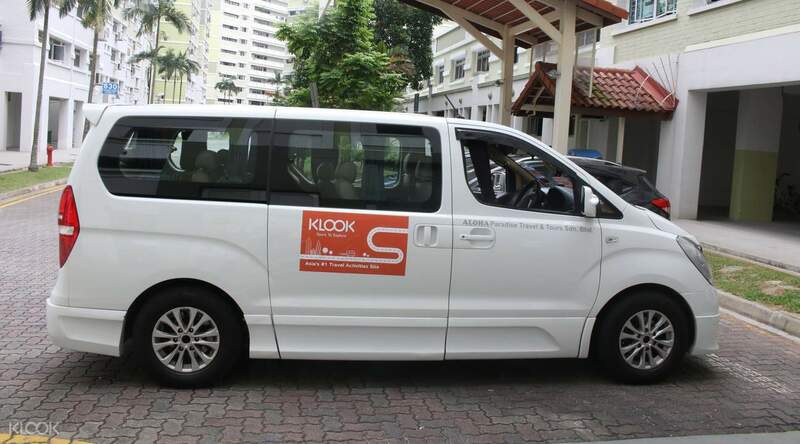 This is our 1st time experience with Klook, we are assigned with Driver Yee. His very friendly, patient with my elderly mom, as she got problem going up his car, he use a small stool to help her get onto the car, very attentive i would say. Then my parents give him a place where she want to go but no address, he help us ask around and managed to bring us to the correct location. Nice! would recommend to family with children or elderly to choose this trip. This is our 1st time experience with Klook, we are assigned with Driver Yee. His very friendly, patient with my elderly mom, as she got problem going up his car, he use a small stool to help her get onto the car, very attentive i would say. Then my parents give him a place where she want to go but no address, he help us ask around and managed to bring us to the correct location. Nice! would recommend to family with children or elderly to choose this trip. The driver Kevin was very nice and helpful. We changed our itinerary the last minute and he gave us suggestion where to shop and even brought us to buy the local products. The journey was a smooth one, no traffic jam. There car was clean and comfortable. Will book again for the next trip with my family. The driver Kevin was very nice and helpful. We changed our itinerary the last minute and he gave us suggestion where to shop and even brought us to buy the local products. The journey was a smooth one, no traffic jam. There car was clean and comfortable. Will book again for the next trip with my family. Very pleased with this service as our driver, Mr. Yee, was always punctual, helpful and got us to all our destinations efficiently. Definitely include your intinerary during your booking so the driver can plan his routes accordingly. But this doesn't mean you can't change your plans along the way to suit traffic conditions and your needs because the driver will be able to help you out along the way. The car was comfortable for 7 of us and we enjoyed our little retreat to JB. Very pleased with this service as our driver, Mr. Yee, was always punctual, helpful and got us to all our destinations efficiently. Definitely include your intinerary during your booking so the driver can plan his routes accordingly. But this doesn't mean you can't change your plans along the way to suit traffic conditions and your needs because the driver will be able to help you out along the way. The car was comfortable for 7 of us and we enjoyed our little retreat to JB. Diver arrived early and in time during the tour. He is helpful. He did not speak fluent English but we could manage. The car is clean and very good conditions. Diver arrived early and in time during the tour. He is helpful. He did not speak fluent English but we could manage. The car is clean and very good conditions.